Peyote is a cactus plant which has native origins in North America, toward the southern side. It also grows in South Texas in abundance but due to its vigorous harvesting, it has become critically vulnerable. 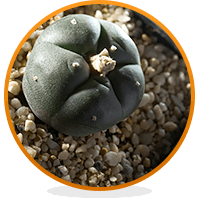 Peyote is also found in Mexican states such as Tamaulipas, Coahuila, and Chihuahua. The million-dollar question is, is Peyote legal? And if yes, where is Peyote legal? Yes, Peyote consumption for the purpose of recreation is illegal in the United States. Under the Controlled Substance Act, Peyote is considered a Schedule I drug. Therefore, it is illegal for anyone not associated with the Native American Church to plant, distribute, or possess the drug. People are legally allowed to consume the drug in some states due to its role in Native American religious ceremonies. Due to its psychoactive effects when consumed, this plant had been added to the list of Schedule I controlled substances. Any substance listed as a Schedule I substance is subject to production, possession, and consumption restrictions; however, Peyote is exempt to some extent for its nondrug usage. Historically, Peyote cactus legality was not as clear as today. In past, there was confusion whether the nondrug use of Peyote cactus is legal or illegal. Peyote holds important value in the Native American culture. Its ceremonial and religious use dates back to more than 5000 years in Native American history. In Mexico, it is considered to be a religious deity in Huichol culture, and they associate it with spiritual enlightenment. The use of Peyote was utterly prohibited by in 1970 when the Controlled Substance Act was passed by the Congress. The Native American Church was granted exclusion in this Act; however, there still remained the issue of Federal regulation. Huge progress was made, in the year 1976, for Peyote’s legalization by Alan Birnbaum who founded the Native American Church of New York. He filed a suit against the Drug Enforcement Agency (DEA) after his appeal for legalization was declined by the DEA. The matter was then escalated to the Supreme Court, and Alan Birnbaum won the case subsequently. Since then, Peyote’s religious use has been regularized for the Native American Church and its associated members. In 1994, an amendment to the American Indian Religious Act clearly declared the legal status of Peyote. This happened chiefly due to the religious significance of the Peyote plant in the Native American culture. Recreational consumption of Peyote is illegal even today in the US under any circumstances. Under the United States Federal Law, Peyote’s plantation, consumption, and possession are legal, only if intended for religious or ceremonial purposes, by the Native American Church and/or a member of the Native American Church. In the US, law court systems have adopted the same above exemptions made by the federal law of the USA. Strictly religious usage by Native American people associated with the Native American Church is legal throughout the USA. As for non-Native American people, the use of Peyote, whether recreational or religious, is prohibited in the USA excluding a few states. Is peyote considered an addictive drug? Though it is not a drug to be taken lightly, in general, peyote is not considered an addictive drug. However, the feelings of euphoria produced by a peyote trip could cause a person to develop a psychological dependence on the substance. 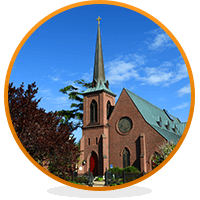 It is of vital importance to bring here to your attention that any churches and independent Native American groups other than the Native American Church are still subject to restriction over the religious use of Peyote. The exemptions were granted exclusively to the Native American Church and its affiliates. However, lately, non-Native American organizations such as The Peyote Foundation and the Peyote Way Church of God (based in Arizona) have earned similar rights to obtain and use Peyote in religious rites and rituals. This was based on the proposition that, in the US law, the exemption from prosecution was granted mainly because of the faithful religious and emotional and attachment of the people to with the Peyote cactus. States, where the use of Peyote is not as much leniently allowed, include Minnesota, Colorado, New Mexico and Nevada. In these states, there is a minimum requirement of Peyote enthusiasts actually being members of a renowned and dedicated religious organization or body such as The American Indian Church in Minnesota, or, the Native American Church. In a few states, you can legally join a Peyote meeting/ceremony, if the organization running that ceremony is associated with the Native American Church. Can I use peyote if I join a Native American Church? In some states you can legally use peyote if you join or attend an event run by the Native American Church. In other states, however, a person must be a certain percentage of Native American to legally use peyote. A most astonishing and unlucky thing to note is that Texas laws are very strict in this affair. Unlucky because Texas is native to Peyote growth, the Texas law requires that in order to use Peyote, a person must not only be a member of the Native American Church, but they also should have at least twenty-five percent Native American genes in their blood. Under the US law, when the Native American Church obtains Peyote for their ceremonial use, their supplier must be a licensed and registered person. If anyone intends to supply Peyote to the Native American Church, they supplier will be subject to complete registration and compliance with the laws of the state in order to qualify for such. In Canada, recreational consumption of Peyote is illegal as is in the USA. However, if intended for religious purposes, Canadian law allows consuming Peyote. The Canadian law also permits the possession of Peyote plant and its seeds for religious purposes. Even though Mescaline (an alkaloid found in Peyote cactus) is listed under the Canadian Controlled Drugs and Substances Act as a Schedule III controlled substance, the Peyote plant itself is free from this classification. In order to be clear, is it the case that peyote is currently legal for practitioners of the Native American Church in all U.S. states but some states require a certain blood quantum and/or official membership in the Native American Church for its use? Also, how does a member of the Native American Church obtain a license to transport or use peyote. I am looking for a clear understanding of the legality of the use of peyote. How is it that a colony of people who live in Arizona who are not Native American can grow, use and possibly sell a class 1 drug legally? Is it legal or not? Isn’t it against the US Constitution to give any group of citizens any privilege over any other group, based on any religious reason? Like isn’t this a core principle of the Constitution? The Supreme Court case Employment Division v. Smith (1994) is also super interesting on this subject.